While the right hand may be jealous, today we celebrate south paws as August 13th is "Left Hander's Day". Some famous left handers include presidents Ronald Reagan and Barack Obama, famous guitarists Jimi Hendrix and Tony Lommi and actors Nicole Kidman and Robert DeNiro. These people pushed through the right hander's world with innovation and dedication. Jimi Hendrix flipped his guitar upside down and strung backwards to become a guitar legend. Decades ago, left handers were frowned upon and forced to use their right instead but in modern times we celebrate the right to go left! Today we embrace the fact that either hand will do just fine, but just like the rest of your body your hands need care too. Modern times have our hands facing challenges far bigger than simply being forced to choose which hand to use. The average American spends at least 6 hours a day using computer keyboards and mice in the work place. Others are doing hard labor with their hands. Many are using their phones texting multiple times throughout the day. The tasks seem simple, but we are actually taking advantage of some of our most important tools and without proper care our hands could suffer unforeseen injuries. Tendonitis, trigger finger, cuboidal tunnel and carpal tunnel are just a few examples health problems our hands can encounter caused by our daily tasks. Ergonomics is the science of designing user interaction with equipment and workplaces to fit the user. For example, to protect your writs from long term injury your arms should be at 90 degrees from your elbow to your fingers when typing. The industry has recognized this need and wrist pads for use with keyboards are now available. But, protective equipment is only one preventative. Exercise is a key element in keeping your hands healthy. Here is a video offering a few exercise ideas that help you with hand health: http://www.youtube.com/watch?v=DayQeLkc710. Or visit this website for some useful exercise ideas that you can print and pin up beside your desk as a reminder: http://www.nd.gov/risk/files/website_pics/assessment/Hand_Exercises.pdf . Wondering what else you can do to help your helpful hands? Change your diet! By the time we reach age 30, we've all incurred damage to our cartilage (the thin rubbery tissue that covers joints and protects our bones from rubbing together). We don't feel these injuries, but over time they can cause chronic inflammation. Salmon is one of nature's best anti-inflammatories because it's full of omega-3 fatty acids. Almonds are a great source of vitamin E, which protects the outer membrane of joint cells. Vitamin C is a valuable source of what your body needs in numerous ways, but when it comes to your joints it is also a preventative in developing rheumatoid arthritis. Beans of all sorts are a good source of protein, but did you know black beans are richer in antioxidants and loaded with manganese (an indispensable mineral for healthy joints)? And don't forget to eat your veggies. Kale and Broccoli are two beneficial vegetables that are good for us in countless ways including our hand health. If you are experiencing even slight pain in your hands, it is best to see your physician immediately to detect any problems early on. Some symptoms that should be addressed include; joint pain, trouble flexing, joints locking, lumps, swelling, numbness, tingling or pain that may even be in your arm or elbow. Remember to take care of your most important tools, your hands. 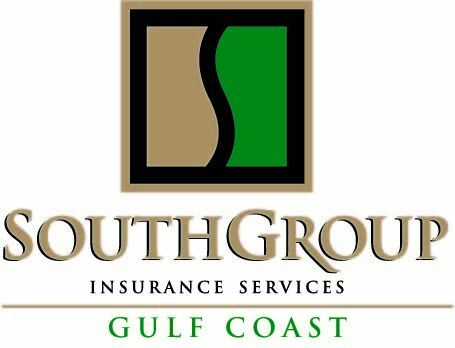 SouthGroup Insurance services wants our friends and family to stay healthy and see your doctor regularly. As an independent agency, we are able to shop with multiple carries to find the best coverage for you at the best rates available. If you do not have health insurance to help with your medical expenses, contact our office for a free quote today!